Check out those layers! The bottom layer is pulverized Oreo cookies mixed with cream cheese and sprinkles. 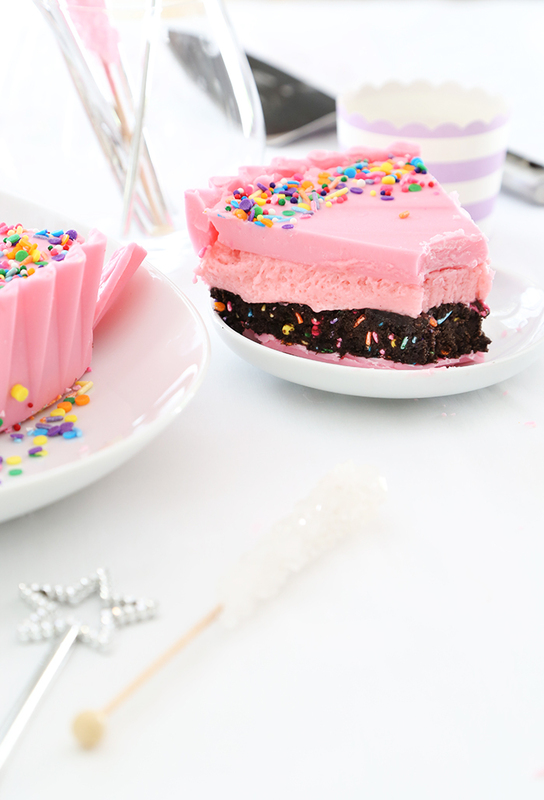 The second layer is pink vanilla mousse, which only requires a bit of microwave action to make. It's so simple, which keeps the focus on FUN! Occasionally I'll receive a surprise (unsolicited) baking product in my Sprinkle Bakes P.O. Box from manufacturers, Kickstarters and other makers. Recently I was sent an Easy Bath Cheesecake Wrap, which is a silicone pan used to prevent spring-form pans from leaking. I instantly loved the frill on the edge of the pan, and knew it was destined to make a jumbo candy cup. I will certainly get around to testing its effectiveness on cheesecake, but for now it's making me happy as a dessert mold. My favorite sprinkle mix as of late is this bottle from Wilton. It has shimmery jimmies and all colors of confetti. I mix it with a few spoonfuls of nonpareils. 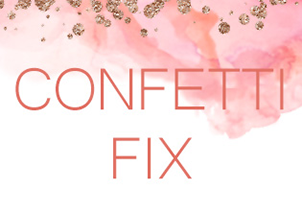 You'll need 1 1/2 four ounce bottles to make this confetti cup. 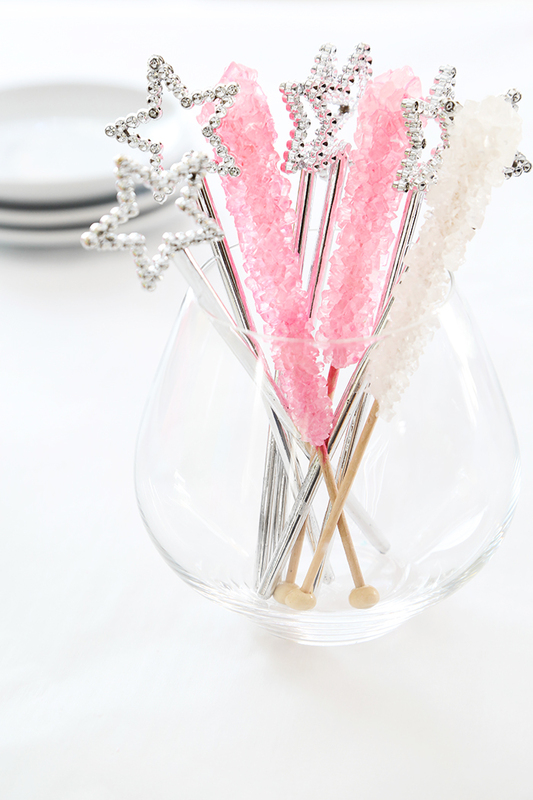 The 'cup' is made with pink candy melts and cotton candy flavoring oil. They are mixed with a little solid coconut oil and when the ingredients are heated together in the microwave the mixture becomes smooth and pours easily. The addition of coconut oil also helps to soften the candy's texture after it firms so it will slice easier. The top layer is a simple pink ganache made with candy melts, but I've also included instructions on how to make it with white chocolate. The Oreo filling and vanilla mousse are delicious together! I also love how the fluffy mousse contrasts with the fudgy chocolate cookie mixture. It makes me crave a tall, cold glass of milk on the side. Be sure to watch the video for the complete how-to. 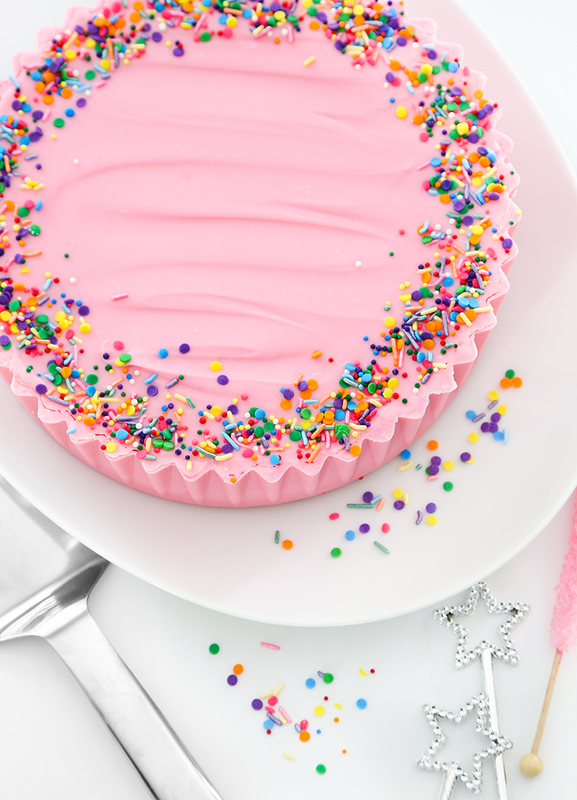 This cookie cup is a real cutie, and totally birthday-appropriate (break out the candles!). Note: This recipe requires a 9-inch silicone pan. Place 12 ounces of bright pink candy and 12 ounces of light pink candy in a large microwave-safe bowl . Add the coconut oil on top. Heat in the microwave (100% power) at 30 second intervals until the mixture can be stirred smooth and no lumps remain. Stir in the cotton candy flavor. Place the silicone pan on a baking sheet. Pour half of the mixture into the silicone pan. Using a pastry brush, brush the candy on the bottom and up the sides of the pan until it is completely covered with candy. Chill for 10 minutes. Use the pastry brush to add a second coating (reheat candy if necessary). Chill until firm. For the Oreo filling, place the cookies in a food processor and grind to fine crumbs. 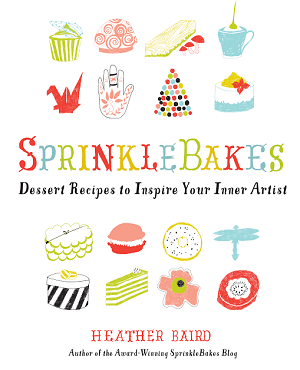 Pour the crumbs into a large bowl and add 4 ounces of mixed sprinkles. Add the cream cheese and stir until combined (you can also knead together with hands). Pour the mixture into the bottom of the chilled candy cup and press pat down evenly. Return the pan to the refrigerator while you make the mousse. For the pink vanilla mousse, place 30 standard-size (large) marshmallows in a microwave-safe bowl. Heat for 45 seconds or until the marshmallows puff up and lose their shape. Add the vanilla extract and stir until combined. The mixture should be deflated and runny at this stage. Let the mixture cool slightly and then fold in the whipped heavy cream. Pour the mousse mixture over the Oreo mixture in the pan. Chill until firm, about 1 hour. 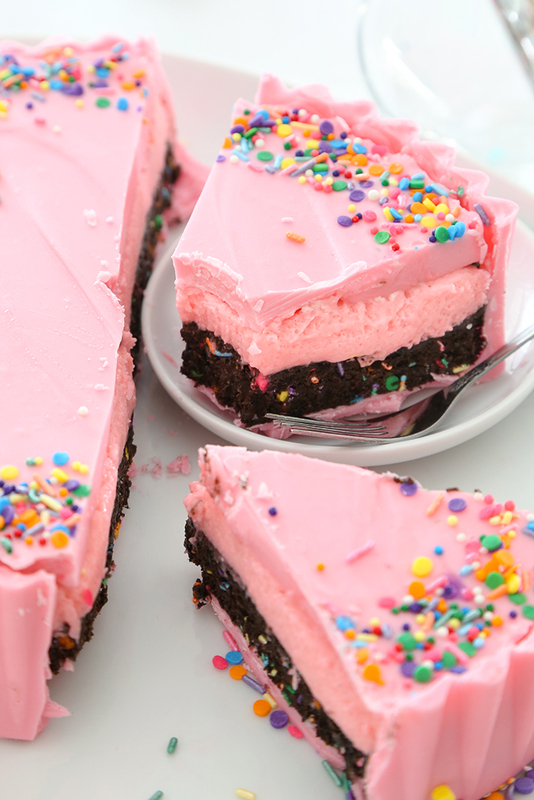 For the pink ganache, chop the candy melts to smaller pieces using a large chef’s knife. Heat the heavy whipping cream in the microwave for 45 seconds at 100% power until hot but not boiling. Add the chopped candy melts to the hot cream. Stir with a whisk until smooth and glossy. Pour over the firm mousse layer in the silicone pan. 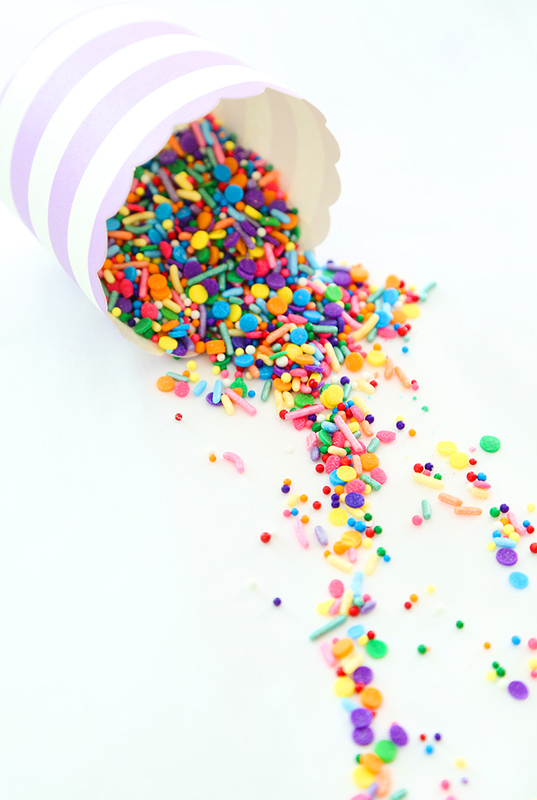 Use remaining sprinkles to decorate the top edge of the candy cup. Refrigerate until firm, about 2 hours. Peel the edges of the silicone pan away from the candy cup and then gently peel back the entire pan from the bottom of the cup. Slice into pieces with a large chef’s knife. Use a knife warmed in hot water for clean slices. You can use an equal amount of white chocolate for the candy melts in the ganache, if you prefer. Use Americolor Electric pink to tint the heavy cream before you heat it in the microwave. Proceed as directed. If you don’t have a fluted silicone pan, a regular 9-inch plain-edged silicone cake pan will work. Leftover pink ganache can be chilled and made into truffles - roll them in crystal sugar! HECK YES to this. I can see using dark chocolate and a peanut butter mousse to make a huge peanut butter cup cake! My bff would love that!! Thanks for sharing this fun recipe! Oh I love this! Perfect for, say, a four-year-old's birthday party! Do you have a Patreon? I'd love to kick you a few bucks for the wonderful recipes! Michelle! That is such a generous and kind offer. Thank you. You are already helping me greatly just by visiting my blog! I really and truly appreciate it. I agree, this would be great for a kid's party! This is so cool looking! I could dive right in! Heather, this is a work of art! 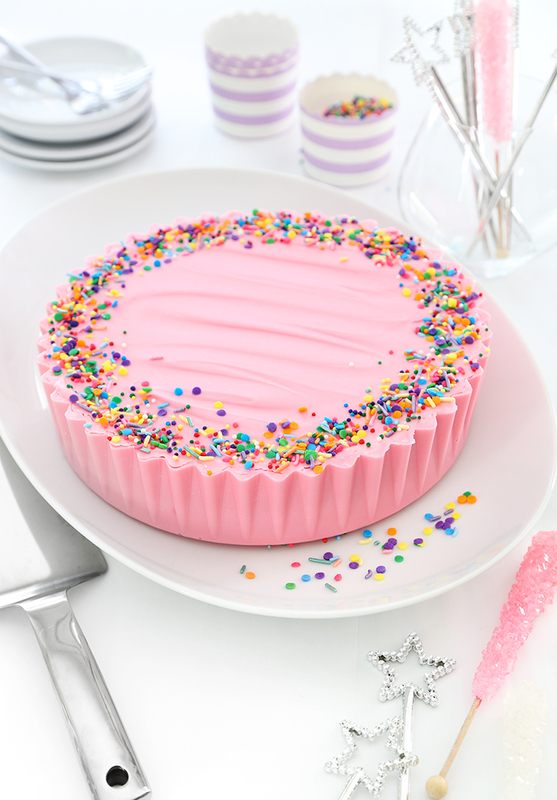 Thank you for using my Easy Bath Cheesecake Wrap in a new way!! I hope you are as pleased with it when you use it to bake a cheesecake! First of all really Nice photography. I love the Color of the cake ,its baby pink which will be definitely going to be loved my Daughter. She is fond of Oreo cookies and candies. This Cake will be loved by all her friends. The Creamy texture looks so mouth-watering. I am definitely trying this on her birthday. Thank You! That's such a cute idea! I love it. A warmed knife will definitely help, but the nature of the candy 'crust' is to chip a little. I managed to get some nice slices with slow and easy cutting. I hope this helps! This pretty li'l number is what I want for my bday this year! Hello, I've never actually commented on any blog but had to on this one. 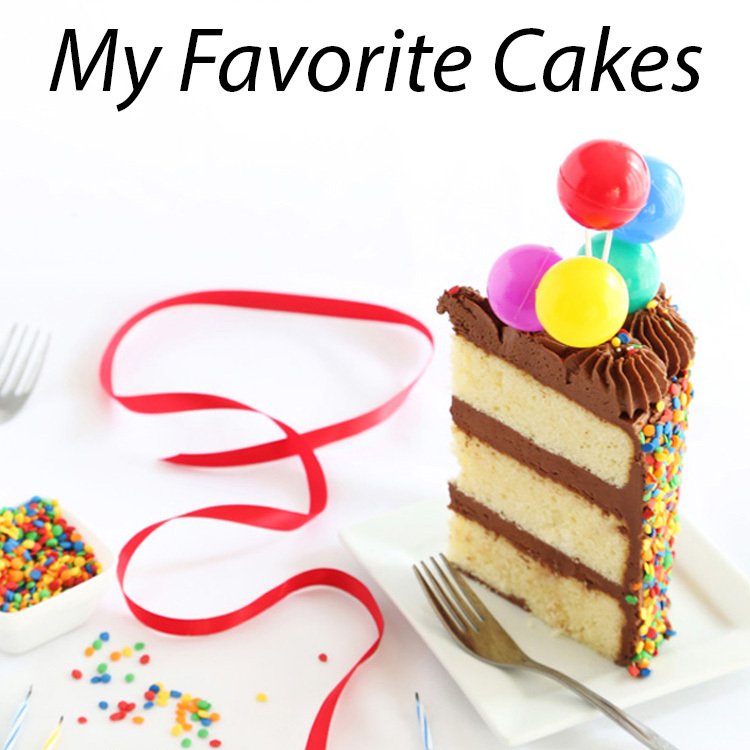 It looks yummy and fun for many different occasions. I have one question though, is there possibly a cake that could be used for a base under the ganache? I know my family would prefer there be some cake to take away some of the sweetness. Thank you for all of your recipes and pictures. I can only imagine how much work it is to have a blog. I am one who just looks at recipes then makes them while you do all of the hard work. 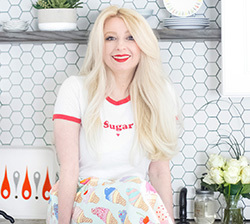 Hi Heather, This is Cheryl, creator of Easy Bath Cheesecake Wrap! wanted to thank you for using my Wrap on your blog, I received some sales from your followers! 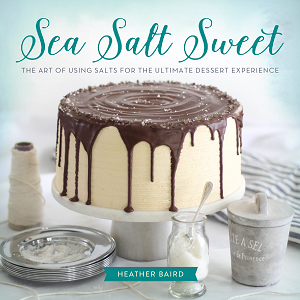 Hope you feel as favorably when you use it as a water bath for cheesecake!! Could I make this ahead and freeze it? I didn’t know if it would defrost well.